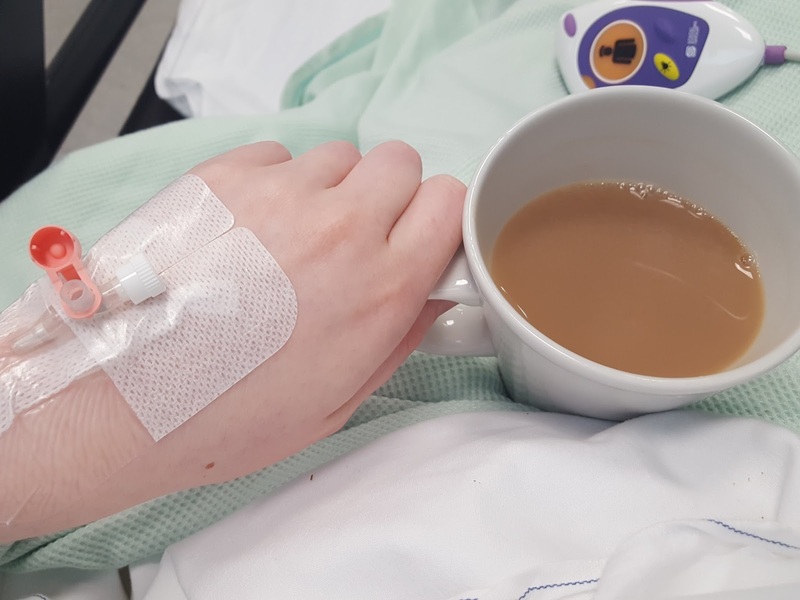 If you have happened upon this post, and haven't seen part one or two, pop back and have a read, or if you literally only care about my laparoscopy then you can stay here for that! I have to say I was super nervous and I think that is normal. I received my letter in the post and got my date, this gave me time to prep and sort out. I I felt more at ease the longer I had to think about it and read up online. Not to say I wasn't a little bit nervous on the day. I arrived at the hospital and made my way to the day case ward where I was expected to go. I gave them my name and was lead down to the ward and my bed. My mum wasn't allowed onto the ward, and so I asked if once the surgeon and anaesthetist had been to see me and the nurse had took my stats I could go back through to the initial waiting room and stay with my mum and I did, my best friend also came down to see me, she is a nurse herself and she has been an absolute gem through the whole process, and let me tell you she got a few too many pictures of my healing belly button! I sat with my mum and friend between 7:30 when I arrived and getting called for surgery at 11:20, there was a slight delay in surgery on that day so they were very sweet and apologetic over the wait, but I was happy enough, I was surprisingly less nervous than I thought and felt very positive about it all. 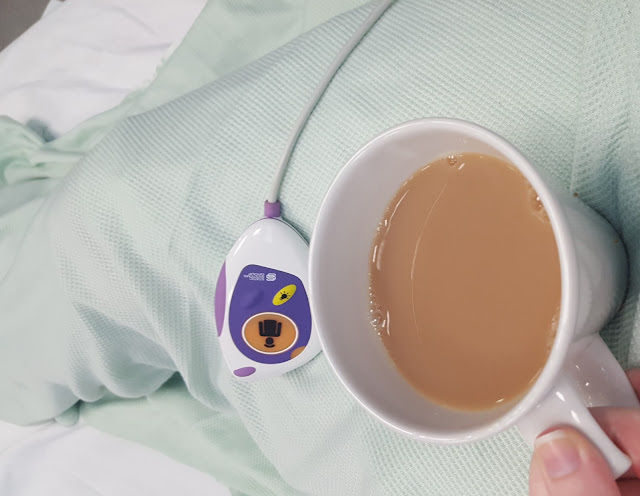 Once called I went back to my bed, drew the privacy curtains around it and got changed, I was told to leave just my pants on and put the gown on top, and then put on the stockings they give you to help with circulation. I go ready and laid back on the bed and waited for them to come back. I was them wheeled through the ward and down to the operating room. I was in a smaller room to begin with and I presume I was then pushed into a bigger room once asleep. I remember talking away to the staff and being asked to make a fist and release it repeatedly with my left hand to raise a vein for the canula, I didn't even feel this go in and was shocked it was in when I then saw my hand. The other arm had the blood pressure machine on it for monitoring. I was then asked some general questions to keep me talking and I remember looking up to speak to the surgeon who was stood behind my head and the next thing I remember I woke up to five nurses looking over me and one said 'How do you feel' I said 'Im ok just tired' I then proceeded to curl into a ball and roll over. It hit me a few seconds later where I was and why there were 5 people looking at me! I have a 2 hour complete missing gap in my memory and I literally do not even remember closing my eyes, it is like I blinked. I felt really good when I woke up, I would say the pain was about a 2 out of 10 and it was far more bearable than any period I have ever had, (I was told to expect the worst period pain feeling when I woke up by someone I know who has had one). I would say after being on the ward an hour or two I started to get a pain right on the top of my right shoulder, this I presume is the gas working it was up. During a laparoscopy they pump air into your stomach in order to have more space to look around at your organs. They put a camera in, and take photos to view and show you what they have found and how it looks. I only had two cuts where they went into my stomach but I know it can often be four if they take biopsies or have things to remove. I was being investigated for a condition called endometriosis. This is where the womb lining grows outside the womb and attaches itself to other organs or other parts of the reproductive system. Then when having your period the lining that has grown outside the womb still behaves like the womb tissue, contracting and causing pain and internal bleeding. I am no medical expert but from what I have read and been told medically this is the basis of it. All of my symptoms match the condition and I was sent straight to surgery so they must have had a good basis to believe it was that or think it was, and my friends all agreed it sounded and all pointed to the condition. Now, this is the most selfish and ungrateful thing ever, but also a really happy one. After waking up and being on the ward the surgeon came back with photos of my womb and ovaries, yeah I did get to see my organs how cool! I was then told they hadn't found any abnormalities or anything of interest, expect one tiny, tiny black splodge that when he tried to move it to look, kinda rolled off my uterus and disappeared into my body somewhere. I had such a mix of emotions, I was so pleased it was all healthy, but devastated not to have answers. I was told I could be discharged once I had had a wee as the anaesthetic can cause you problems with having a wee and they wanted to make sure I was ok.
My mum had to meet me on the ward and walk me back through the hospital but I was quite well considering and although I knew I should have been in pain I was so pleased it was only a two out of ten, and I am really good with pain having my periods sky rocket to what I would easily say is an eight out of ten at times. I had some more pain in my shoulder and the couple of days following surgery I had chest pain like indigestion, and burped a lot to get rid of the excess gas that stays inside your body. My worst one was sleeping, I couldn't lay comfortably enough on my side to sleep, but never sleep on my back. I was drifting off to sleep on Friday night the same day as my op and once I was asleep enough to not know I was moving I rolled onto my side and kneed myself straight in the stomach. I had a little cry. The next day my husband, out of kindness, made me laugh and for the first half a second I laughed, but as my stomach muscles tensed I burst into tears as I was in so much pain, only for a second, but a second too long. My belly button and the one, I can only politely describe as just above my bikini line, were a little sore. 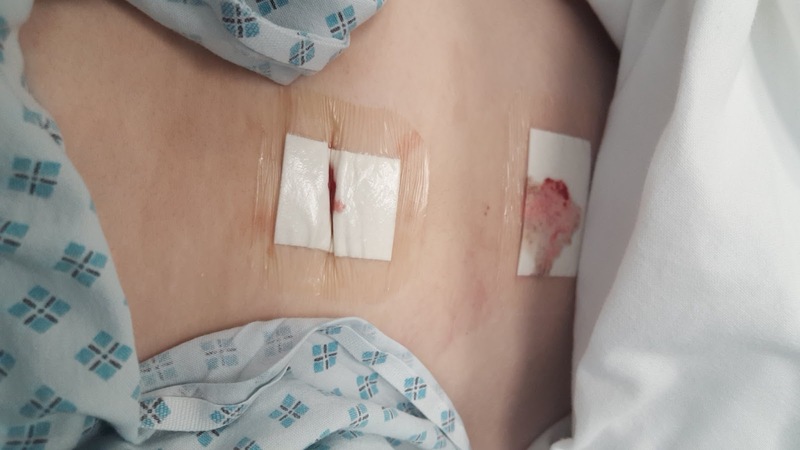 I found the one on my lower stomach seemed to be much less angry, though red and a little sore seemed quite happy to heal on its own and sort itself out, while my belly button was bruised, red and sore and just felt very inflamed. I have a 'inny' belly button normally and the stomach swelling and healing made me have a 'level' belly button almost to an 'outy' stage. this has settled down a lot int he first week, I write this post 1 days after surgery and although still very tender on my stomach I am basically back to normal in what I can do. I did catch my belly button last night and it did bleed a little, but its ok now. I have stitches that dissolve in the wounds and have been advised if they aren't out after two weeks to have them removed at the doctors, as of 10 days they are still in, but I am keeping and eye on them to be sure. I feel in a lot of ways I am no further forward, I feel I have still not go the answers I seek, and although I will chase it with my GP to know more, I am not sure where else to go. 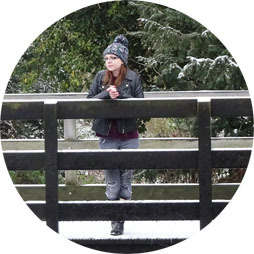 I want to chase up the contraception route and I will be looking into that more, so please do let me know if you want an update in a few months when I have had time to shake things up and see what happens. I wanted to share these posts mainly to encourage women and teenager or young adults that yes, having to go to the doctor and show them your private and intimate areas is a damn scary prospect, but they do not look at it like it is that area they look at it medically and I want you to know that you will feel a hundred times better if you have an issue and you get it checked and seen to. Also, at 24 I am fast approaching smear test age and if you asked me at 16 if I ever wanted one I would have said never in my life, but you know what, its there to keep us healthy and check for issues, and I would urge anyone who is due or hasn't been to please go, I don't have my answers yet, but I am more glad they looked and I still don't know than to have fretted and not gone and be no further forward. I have a long road ahead to get to the bottom of all this, but I can assure you I will keep searching for the answers and I will do an update when I have an idea of what it can be.